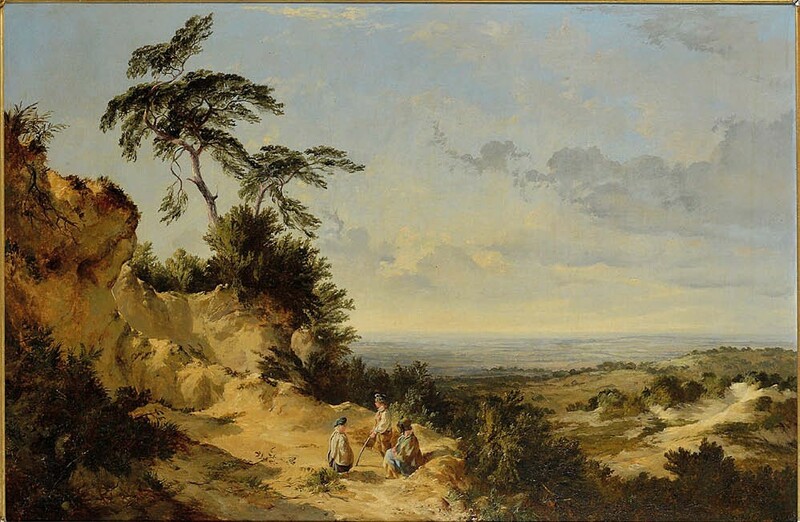 Victorian landscapes can often be difficult to shift at auction, but a fine panoramic view near Redhill in Surrey by Edward John Cobbett (1815-99) gave a boost to the Boningtons (20% buyer’s premium) sale in Epping on August 21. A landscape near Redhill in Surrey by Edward John Cobbett that sold for £2500 at Boningtons in Epping. The artist’s pictures of children and rustic genre scenes appear more commonly on the market than wider views of the countryside such as this, but Boningtons’ picture specialist Luke Bodalbhai said the picture had a “freshness and movement” in terms of composition and execution not seen in many of his works. The 2ft 3in x 3ft 5in (69cm x 1.05m) signed oil on canvas was consigned by a local vendor whose family had owned it for many years. It was in good clean condition – it had been relined but not over-restored and only suffered from some minor damage to the frame. It also retained the artist’s original label to verso which identified the location of the scene as Near Redhill, Surrey. Drawing admirers at the auction, it was taken above its £800-1200 estimate and came down to a battle between a private buyer in the room and an online bidder, eventually being knocked down to the former at £2500. This was a solid price for the artist, even if a small number of figurative pictures by Cobbett have previously sold at auction for twice this level. Boningtons reported that, despite the sale taking place in August, the auction still had decent numbers taking part, especially with online bidding playing its part. Bodalbhai felt that picture prices were just as high, if not higher, than in other months, something that vindicated the Essex firm’s decision to retain a busy schedule of summer sales.